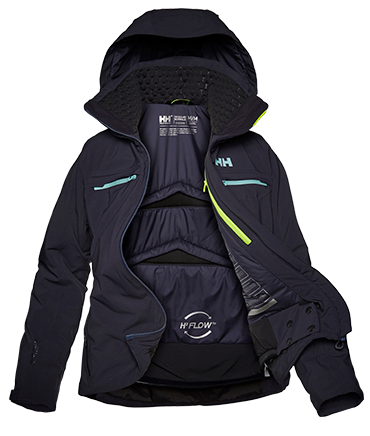 H2Flow™ is a temperature regulation system that was developed together with mountain professionals to provide skiers with versatility and comfort in changing weather conditions and fluctuating activity levels. 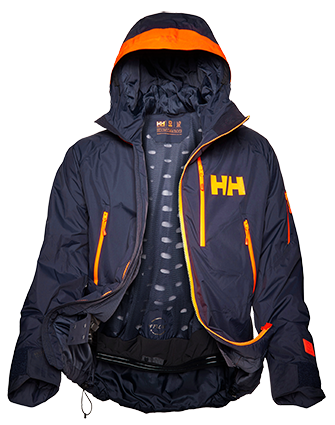 The technology keeps you warm by storing hot air, and also allows you to cool down through ventilation zippers. Control your body temperature with ease, thanks to our revolutionary H2Flow™ system. Our unique blend of features and fabrics that allow you to warm up, cool down and stay protected from the elements when needed. 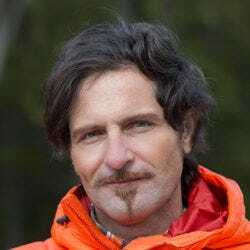 As your body temperature rises, the uniquely designed air pockets store and retain the heat you produce to keep you warm. To cool down, simply use the strategically placed ventilation zippers to release the warm air and allow a flow of cool to enter the jacket. Constructed from a variety of weather-resistant fabrics, the waterproof, windproof and ripstop outer shell will keep you protected whatever the climate. H2Flow is the technology I can’t live without because the ventilation system works so well and allows me to regulate my body’s temperature and have a perfect insulation level. 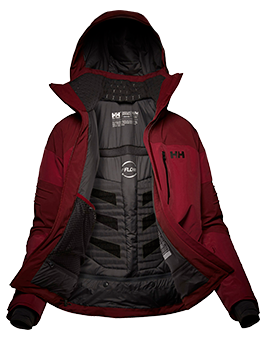 This award-winning jacket features the Life Pocket+™, an updated H2Flow™ system, and beautiful wool details. 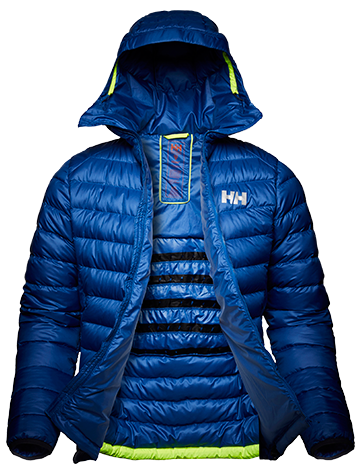 The Icon Jacket sits at the pinnacle of style and function: an icon amongst ski jackets. 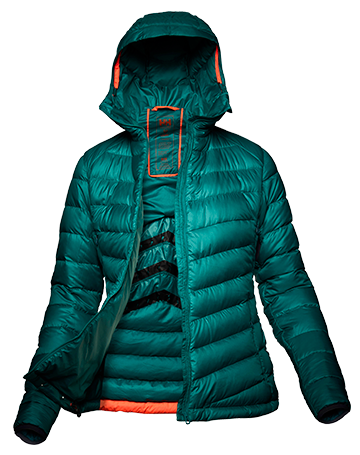 Take this packable, goose down jacket with you for all your adventures. Strategically placed air vents and baffles will help modify your temperature during any activity. 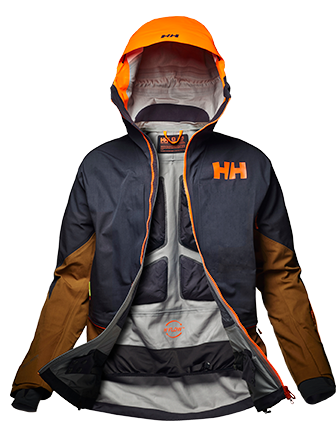 The Alphelia Jacket features the perfect combination of insulation and breathability. Four-way stretch and high-tech features make this classic jacket a recurring favorite.